My son’s kindergarten teacher bribes her students to behave for five days straight using only a small piece of paper as a reward. At the beginning of each week, she issues each child a small die-cut shape, and if they listen, cooperate, and follow the rules, they get to bring it home on Monday. In Mrs. N’s weekly email to parents this morning, she announced that this week’s behavior incentive was a bear. If we don’t find an incentive in our children’s folder, she instructed parents on curriculum night, we might want to have a conversation about why that is. That bear stayed in the back of my mind for hours. I didn’t think about it actively, but it stuck as a kind of visual marker for the end of the day. When I got home, I would remember to check Smoke’s folder and, assuming the bear was there, I’d make a point to share a moment of pride with him. I was true to this intention, and I checked his folder moments after arriving home. I removed the papers from each pocket: there were instructions for photo day, a handout on conferences, a flyer for the harvest party. There was even a free magazine for parents. But there was no bear. Last week, I had a moment of mild panic only to find that the bear was simply hiding in the flaps. Today I checked the flaps. No bear. My heart dropped. I mean, I could feel it dropping, then it raced. Blood ran into my cheeks. I was surprised by how strongly I felt about this bear. “Did you get a bear in your folder?” I asked Smoke, hoping that maybe he’d already claimed it. “Is there a reason you didn’t get one?” I reminded him that the bears were a reward for good behavior. “I don’t think anyone got one,” he said. He didn’t seem to be hiding anything from me. I took the dogs for a walk, and on that walk I was filled with dread. 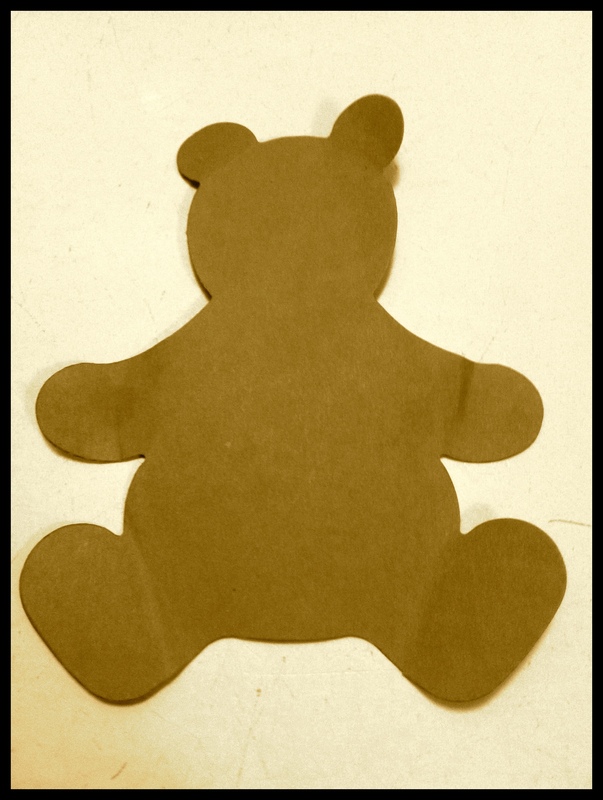 I kept asking myself: Is this really about the die-cut bear? Like maybe, are you upset about something else that you’re forgetting? But no, it was only the bear. I wondered what my son had done. Clearly he hadn’t punched a child or tried to set the school on fire, or I would have heard from the principal or Mrs. N herself. But was he a disruptor? Did he poke other children during circle time? Did he chase someone around with a booger? I wondered why it mattered. Some of it was sympathy. I started to imagine Smoke as the kind of kid who, week after week, comes home without a bear. The kind of kid who wants to do right, but gets labeled as trouble. Some of it was mystery. Smoke has been in kindergarten for a month now, and I have very little information about his performance. The truth is, as well as I know my son, I have no idea who he is in his classroom. The die-cuts every week have reassured me that all is well. In my head I drafted an email. I would try to play it casual. Dear Mrs. N, it would read. Smoke did not have a bear in his folder today, but he wasn’t able to tell me anything about that. If he misbehaved last week, he is blissfully unaware. Is there anything I should know? When I came home, I checked the pockets of the folder one last time, as if I might have somehow missed the bear. I hadn’t. Though I kept telling myself it wasn’t urgent, I went to my laptop and opened my email account. There, at the top of my inbox was an email from Mrs. N.
The subject line read: Bears. had a great week last week didn’t get into the folders today—sorry. I will send the bears tomorrow. Maybe I am not the only one who had feelings about the missing bears. It is probably a Berney Bear, which is not always entirely reliable! Ugh. Some parents out there are experiencing that every day. That is really sad. Michi, I’m curious about your take on behavior incentives. Is that something that would never happen at Lincoln? I’m curious about how different schools handle incentives as well. Everything I read about child development (from different sources that resonate with me), and everything I observe in my own kiddos, points towards guiding children to seek gratification for the sake of the task/deed itself, not for an external reward. But then, different things work for different families. Interesting subject. Love your blog too! Yeah, I’m really noticing this at school–incentives for everything. The school-wide incentives (get caught doing something good!) are the ones that really rub me wrong. I don’t want my kids wondering where their prize is every time they help someone out. LOL. Isn’t it amazing how often we think something is something it really is not. I can’t tell you how many times in my own life. Yes, it’s so nice when it works out that way.